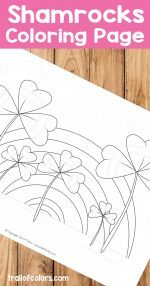 Grab this cut free printable pot of gold coloring page for kids to have fun with. 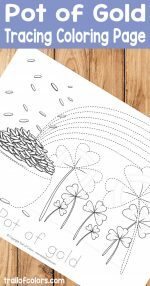 This fun filled coloring page is perfect to give to the kids in spring time, just before or on St. Patrick’s day. 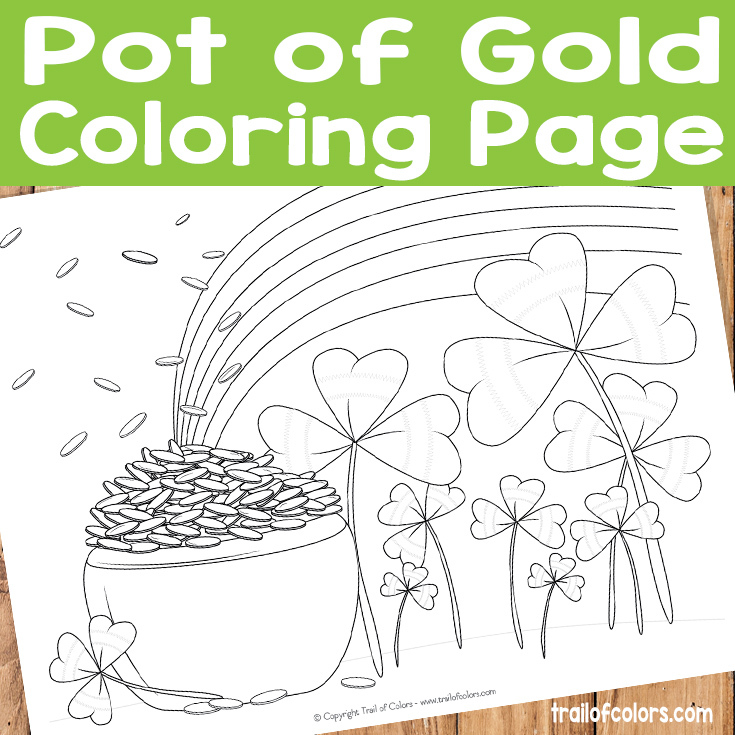 Although we think we can agree that pot’s of gold are entertaining all year round. Do you have something special planned for the kids for St. Patricks’ day? Maybe a fun themed day at home? Or a classroom party if you are a teacher? We think this printable can find it’s place at your event. 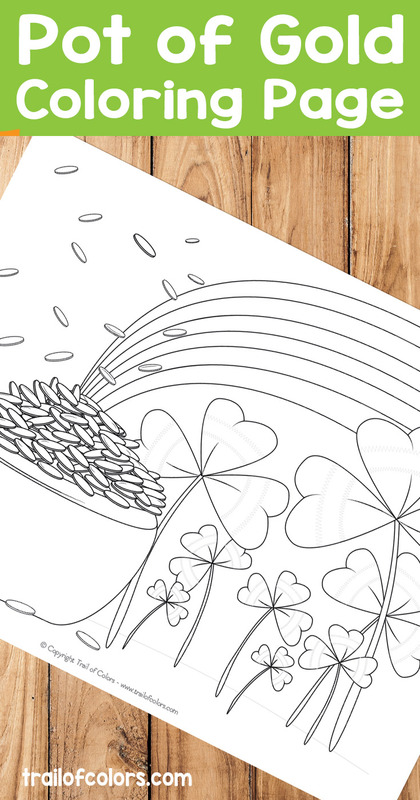 And this one isn’t the only St. Patrick’s day coloring page we offer on our site, the collection is ever growing and it doesn’t just include coloring sheets! 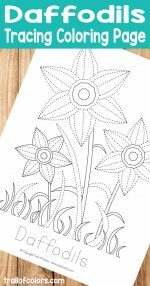 You will find fun tracing pages to practice pre-writing and engaging dot to dot pages that help with the alphabet and counting. 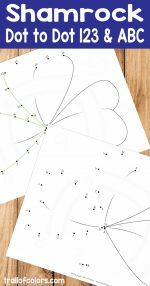 Be sure to explore our whole library of St. Patrick’s Day printables. St. Patrick’s day is all about Leprechauns, rainbows, shamrocks and gold. 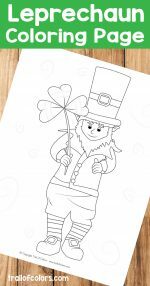 This coloring page covers almost everything, we’re just missing a leprechaun it seems. We would absolutely love to see how your kids colored this one (or any other of our pages) so do post them on our Facebook page. 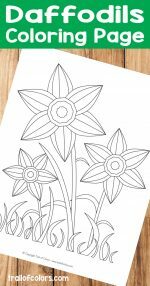 If you are looking for some more tracing coloring pages for kids look no further. Here are just a few you kids will love.